In last night’s Republican debate, questions were ignored, data were fudged, lies were lied. 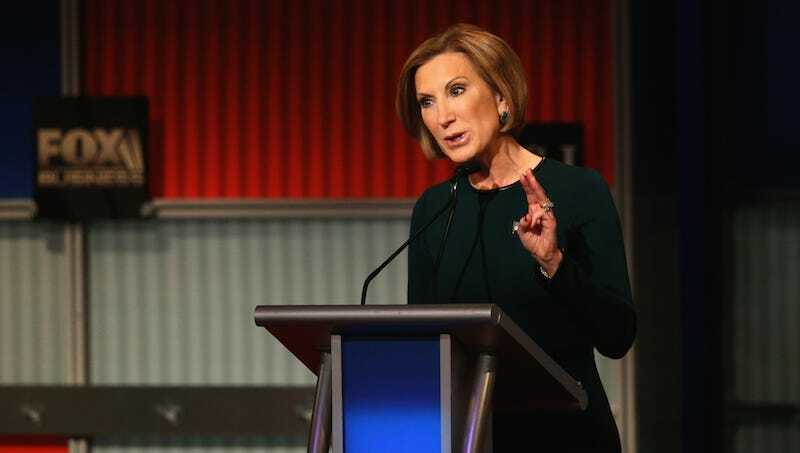 No lie was more compellingly told, however, than Carly Fiorina’s applause line that she had met Russian president Vladimir Putin in a private meeting—not a green room. I would love to hear more about this private meeting she had with the leader of Russia in the past month and a half while on the campaign trail. Did Fiorina invite him to her campaign bus? Did she take a secrete state trip to Moscow even though she is not affiliated with the U.S. government? Let us know!